TAHLEQUAH, Okla. - The international technology leader Google has added the Cherokee written language, called Cherokee Syllabary, to its repertoire of searchable languages. 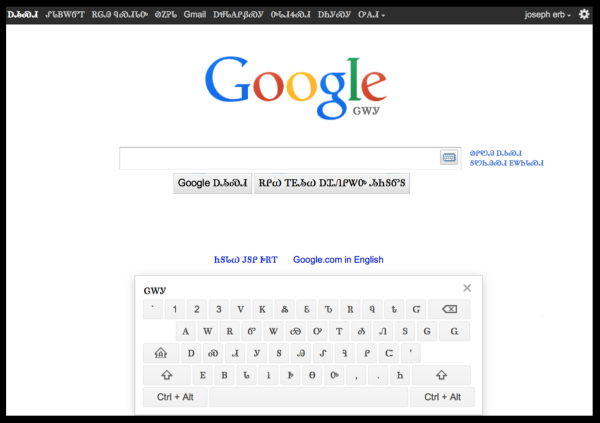 Just like the many other languages Google supports, now anyone who can read and write Cherokee can look up virtually anything, at least in the universe of the World Wide Web. Cherokee Nation translators worked side by side with Google employees to work through all the challenges of adding a new, and very different, language to their services. The syllabary, created by Sequoyah in the early 1800s has characters, some of which resemble Latin and Greek letters. The 85 character syllabary quickly made the majority of Cherokees literate and was adapted into the first Native American newspaper, the Cherokee Phoenix which was written in Cherokee and English. Over the past decade Cherokee Nation has been dedicated to keeping its language vital. It started with free language classes, a youth choir that sings in Cherokee, student language bowl competitions, a Cherokee degree program at Northeastern State University and a language immersion school that has grown every year, which is now up to fifth grade. Google’s corporate mission is to “organize the world’s information and make it universally accessible and useful.” Their work with the Cherokee Nation gives access to the most comprehensive search engine in our Native language. “With these tools we are building for Cherokee tomorrow,” added Erb. Click here for Google’s blog post Google Supports Cherokee to see how to use the Google Cherokee search engine. "If you don't figure out a way to keep technology exciting and innovative for the language, kids have a choice when they get on a cell phone," Erb said. "If it doesn't have Cherokee on it, they all speak English," he said. "They'll just give up their Cherokee ... because the cool technology is in English. So we had to figure out a way to make the cool technology in Cherokee." TAHLEQUAH, Okla.—Nine-year-old Lauren Hummingbird wants a cell phone for Christmas -- and not just any old phone, but an iPhone. Such a request normally would be met with skepticism by her father, Cherokee Nation employee Jamie Hummingbird. He could dismiss the obvious reasons a kid might want an iPhone, except for this -- he's a proud Cherokee and buying his daughter the phone just might help keep the tribe's language alive. Nearly two centuries after a blacksmith named Sequoyah converted Cherokee into its own unique written form, the tribe has worked with Apple to develop Cherokee language software for the iPhone, iPod and -- soon -- the iPad. Computers used by students -- including Lauren -- at the tribe's language immersion school already allow them to type using Cherokee characters. The goal, Cherokee Chief Chad Smith said, is to spread the use of the language among tech-savvy children in the digital age. 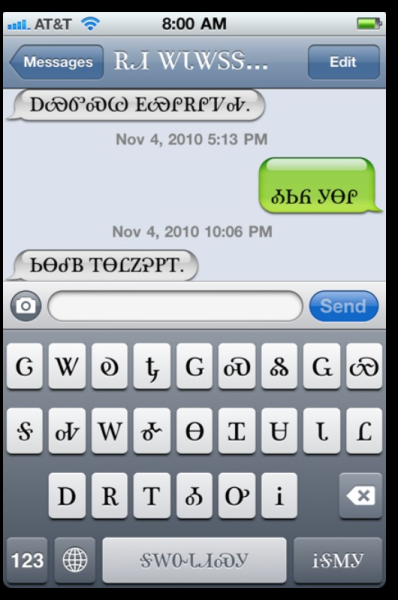 Smith has been known to text students at the school using Cherokee, and teachers do the same, allowing students to continue using the language after school hours. Lauren isn't the only Cherokee child pleading for an iPhone, "and that doesn't help my cause," Jamie Hummingbird joked, knowing he'll probably give in. Tribal officials first contacted Apple about getting Cherokee on the iPhone three years ago. It seemed like a long shot, as the devices support only 50 of the thousands of languages worldwide, and none were American Indian tongues. But Apple's reputation for innovation gave the tribe hope. After many discussions and a visit from Smith, the Cupertino, Calif.-based company surprised the tribe by coming through this fall. "There are countries vying to get on these devices for languages, so we are pretty excited we were included," said Joseph Erb, who works in the Cherokee Nation's language technology division. The Cherokee Nation expects its involvement to have a lasting impact on the Cherokee Language. 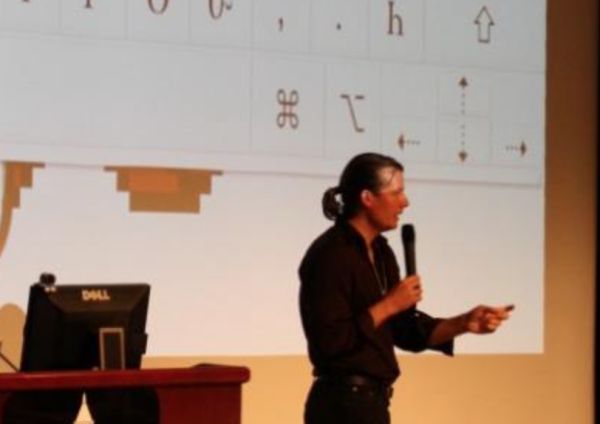 The Cherokee Nation has joined the Unicode Consortium, a nonprofit formed in 1987 to set international software standards, to help promote growth in use of the Cherokee language. Boney said having representation in the international community through Unicode is very important. It was just coincidence that I, a Google engineer working on the internationalization of Google products, ended up carpooling back to San Francisco with Vance Blackfox, member of the Cherokee Nation (CN) from an event we’d both attended. But that coincidence kick-started a collaboration that would result in Google Web Search in Cherokee and, starting today, Gmail in Cherokee. After a 2002 survey of the Oklahoma Cherokee population found that no one under 40 spoke conversational Cherokee, the Cherokee Nation saw an opportunity to use technology to encourage everyday use of the language among the younger generation. Vance connected me with the language technology department at the Cherokee Nation, and the Gmail team worked closely with their highly organized team of volunteers, which ranged from university students to Durbin Feeling--Cherokee living treasure and author of the Cherokee-English Dictionary. 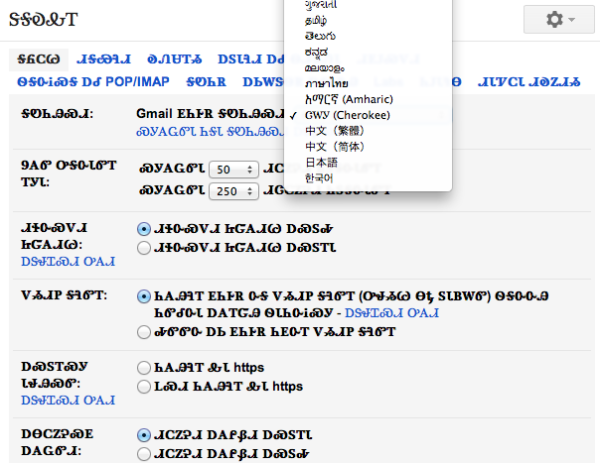 Together, we were able to find and implement the right words for hundreds of Gmail terms, from "inbox" (ᎧᏁᏌᎢᏱ) and “sign in” (ᏕᏣᏙᎥ ᎰᏪᎸᎦ) to “spam” (ᎤᏲᎢ). The preservation of local languages is a subject that comes up frequently on Daily Edventures, from our celebration of International Mother Language Day to our recent interview with author Nataly Kelly. Globalization, for all its economic advantages, hasn’t always been kind to local languages, many of which are under threat of extinction. So we’re particularly proud when the power of technology allows us to contribute to preserving important cultures and languages for future generations. 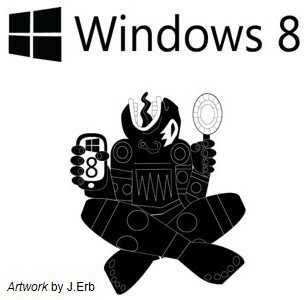 Today, Microsoft is launching a Cherokee Language Interface Pack for Windows 8, allowing the more than 300,000 citizens of the Cherokee Nation to work and communicate in their own language. This is made possible through the Microsoft Local Language Program, a global initiative that provides people access to technology in a familiar language while respecting linguistic and cultural distinctions. What is your community doing well currently to support education? What conditions must change in your community to better support education?